January proves to be a very stressful month, you start out the year with very lofty goals, a very steadfast mindset, and very little room for error. How January tends to add stress for me is, me is trying to determine how often I am gonna go out to eat. I vacillate over whether or not I should cook at home to monitor my fat content and if I do go out what do I eat, all of this in an effort to not have January be a complete bust. So what should be the solution, what is the smart route, what is the way to be being totally resolute to January? Well the answer is, Tablao for tapas. There is beauty in the tapas concept, because it allows you to eat delicious food in an extremely small portion, sure you may be hungry when you leave, because its not enough food, but at least you were not deprived of good food, however this is not the case at Tablao in the Tribeca section of New York. 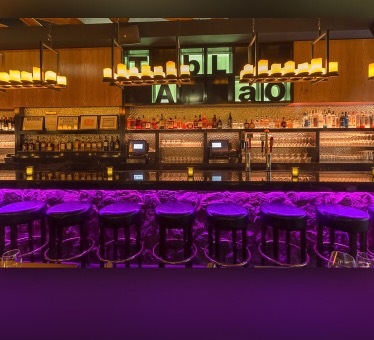 Tablao has a hodgepodge of spanish tapas for your delight and the portion amount is beyond 2 bitefulls possibly even three, with bites to spare. So for all of you who are tapas virgins, the point behind tapas is to order alot of dishes and to share with someone who loves to eat as much as you do. First up Chanpiones Rellenos also known as mushroom caps with crabmeat and possibly better know as amazing. The mushrooms were tender, juicy, with perfectly seasoned crabmeat, with a slightly crisp top which I assume from being under the broiler, second up Solomillo in layman terms fillet mignon bites with cherry peppers and red wine, cooked medium well, and translated into melt in your mouth goodness, savory, juicy, and smidgen of sweet from the wine. Third Pulpa A La Gallega also known as spanish octopus with olive oil, sea salt, and spanish paprika. 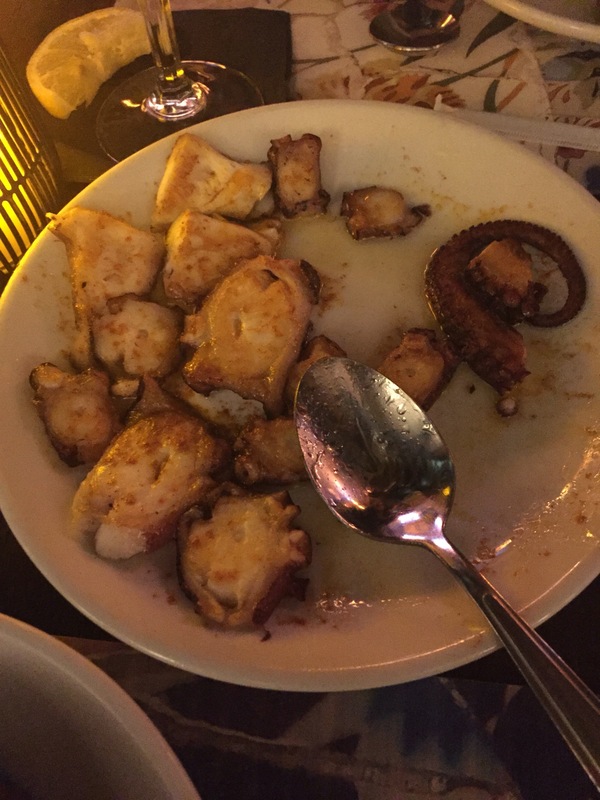 This octopus was sliced in small circles, it was tender, it was a smidge briney, the perfect amount of saltiness. 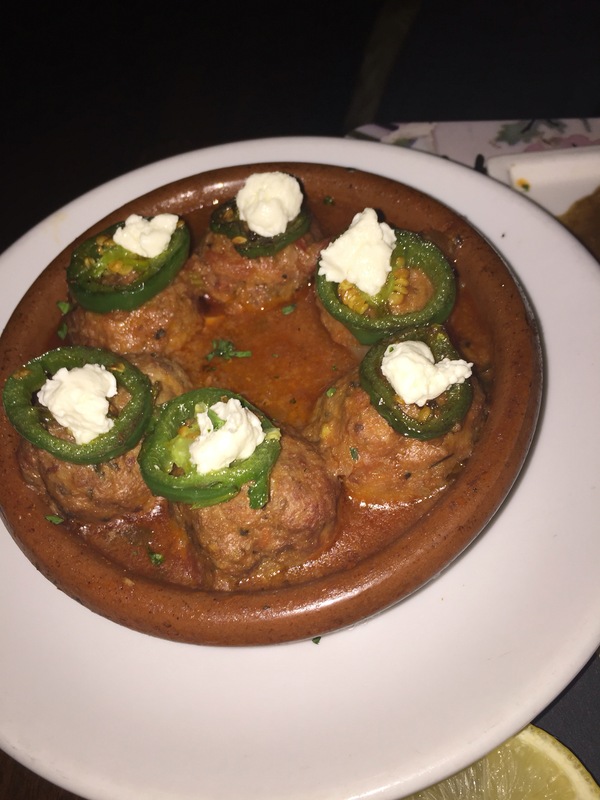 Fourth, Albindigas Tablao also known as as meatballs with goat cheese and jalapeño. The goat cheese & jalapeños were atop the meatballs, and the meatballs were well seasoned, spicy, and saucy. 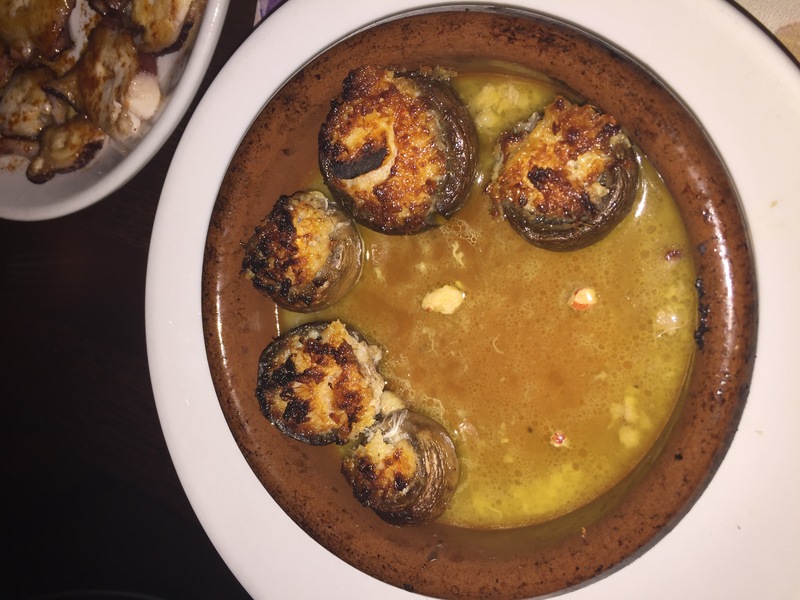 There’s were so much to choose from here at Tablao, the portions were defectless, the food was seasoned to perfection, the amount of fat was few, and the level of flavors displayed throughout all the dishes made me feel like my palate went through a culinary trip through Spain. Most of all I left Tablao feeling portion obedient, resolved to January, and pleasantly satisfied. Once again my mouth was watering with the reading!! Well done!! The food looks delicious! I can’t wait to eat some great cuisine. My mouth is just watering look at the meal.